Building a Bug Out Bag is one of the most important things you can do to get prepped for disaster. Some people even put it above building a 30-day emergency food supply. While there is plenty of advice out there on how to pack a Bug Out Bag and Bug Out Bag checklists, it is still hard as heck! We are packing for an unknown disaster, unknown circumstances, and highly-variable physical abilities and knowledge levels. 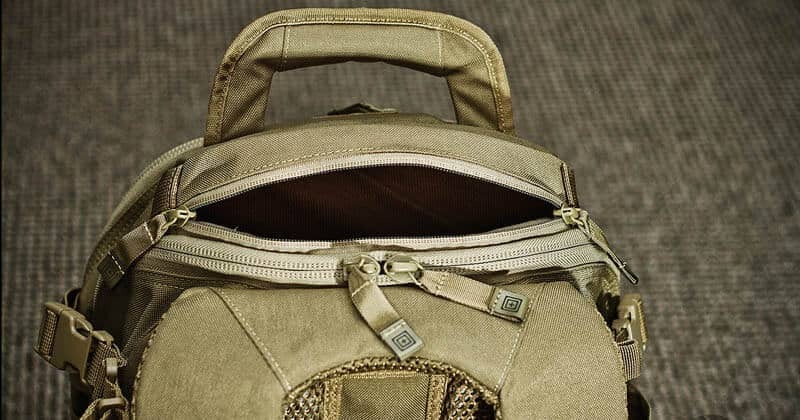 Even if you have already built your Bug Out Bag, I still suggest you follow these Bug Out Bag tips to make sure you have the best BOB for your unique situation. The common approach to making a Bug Out Bag is to find a checklist and throw all of those items into a pack. But a Bug Out Bag is only as good as your plan! For example, I see a lot of Bug Out Bag checklists which include items like fishing kits. A fishing kit is great if you are going to bug out in a remote area near water sources – but useless if you are in an urban area. In that case, you might need items like a crowbar. Under what conditions will you flee? Who will you bug out with? Once you have this list of survival tasks, you can decide what items will fulfill them. The beauty is that you can find items which fulfill multiple tasks. For example, the toilet paper in my BOB has obvious hygiene uses, but also makes a great firestarter. When it comes to essential tasks like making a fire or shelter, you will want to have a backup. But you should NOT pack duplicate items! Duplicate items are just going to weigh you down. Also, if one item breaks, then chances are that the duplicate will also break. Pack redundant capability, not redundant gear. So, instead of packing two lighters, it would be smarter to pack a lighter and a ferro rod firestarter. Or, for another example, you’d pack a tent for shelter but also pack small hatchet in case you needed to abandon your tent and make a brush shelter. Hanging out with ultra-light backpackers has taught me a lot about reducing weight from my pack. These are people who know that every ounce counts. An ounce might not seem like a lot – until you consider that it only takes 16 ounces to make a pound. By doing things (which might seem crazy at first) like cutting the edges off of your maps, those ounces can quickly add up into big savings. Backpackers say that you should only carry 15% to 25% of your body weight. However, that’s backpacking. We are talking about bugging out. You might need to run with your pack on – so cutting weight is even more important. This bug out bag tip doesn’t get mentioned much. Rather, most people seem to encourage preppers to fill their BOBs to the max. The reason you should leave room in your BOB is because you never know what you will find. You find someone else’s abandoned gear and want to take it with you. You come across a bunch of wild edibles and decide to carry them with you. You find some plastic bottles and want to take to carry extra water. I don’t believe that you need to spend a fortune to get prepared for a disaster. Do what you can with your allotted budget. But let’s be honest. While a $5 flashlight is better than no flashlight, it probably isn’t going to withstand the elements very well! Tent: Tents are very heavy. So, if you choose a tent instead of a tarp, choose a lightweight model. Good lightweight tents are quite pricey. Waterproof Gear: Cheap ponchos tear easily. Spend the extra money to buy quality rain jackets for your Bug Out Bag. The Bug Out Pack: As someone who goes backpacking a lot, I can tell you that pack quality matters! A crappy pack will put strain on your shoulders and back, and the straps might break quickly. Read this post about how to choose a bug out backpack. Whether you plan on bugging out in the city or remote wilderness, boots are likely a must-have. You’ll need boots to protect your feet from rubble like broken glass, flaming debris, and tough terrain. The problem is that many of us don’t wear our boots on an everyday basis. My wife, for example, is often found wearing sandals or even heels. Thus, we make sure to keep our boots next to our BOBs so we can quickly put them on in case we need to flee. Additionally, you will want to have a Get-Home Bag in your car. When you are planning Bug Out Bags for your family or a group, things can get complicated! On one side, having a group means that you can carry more items. On the other hand, there is always the risk of getting separated. There are also issues of mixed abilities (such as children, elderly, and disabled preppers). I personally prefer #3. Everyone’s got things like a knife, firestarter, and rope in their BOB, but we can still bring things we otherwise wouldn’t (like that deck of cards and a stuffed animal for my daughter) because the weight is divided between packs. Bugging out on a nice, summer day is fine. You could probably even survive with absolutely no gear (though not very comfortably or safely). Your BOB contents get completely wet. With no dry clothes to wear, you suffer hypothermia. Your water filter freezes in the cold, something which ruins many filters. Your fingers are so cold that you can’t use your knife to shave tinder off sticks for lighting a fire. There is so much snow that you are unable to build a shelter. With careful planning, these problems (and the many others) can be avoided. For example, you’ll probably want to bring a shovel for building a snow cave. To keep items dry, use a wet sack inside your Bug Out Bag. 11. Test Your Bug Out Bag! The most important piece of prepping advice (whether it is for bugging out or hunkering down) is to run a survival drill. Follow your Bug Out Plan using just the items in your BOB. How well were you able to survive? Chances are you will come up with flaws in your BOB contents – like realizing that your knife is no good for batoning wood, or your pack is too heavy to be carried long distances. That is what prepping is all about: Strategizing, testing, and adjusting plans. No Bug Out plan is perfect but, with drills and careful planning, you can get it as near to perfect as possible. What other tips would you add for building the perfect Bug Out Bag? I live in the UK so most ‘usual’ scenarios don’t apply, lucky me! Bugging out would only likely occur in case of fire. Would I be better of having a inch bag and what would be a good selection of items? Hi Steve – you need to adjust your requirements based on your own unique circumstances. We have lots of BOB articles and checklists so use these as a starting point and then customize as necessary. You can search bug out bag in the sidebar or get back to me and I will post a few links for you. Jacob, One of the best articles I’ve seen on the practical issues of BOBs. I particularly agree with your #8 – Multiple Bug Out Bags. I would suggest that you could have addressed #10 with a combination of cold temps as well as high. Hyperthermia is as much a killer as old weather, especially in the Southwest U.S. Thanks Ben. Definitely agree with your point about hypothermia. We will expand on this in a future post. I am almost 70 years old and still kicking… I lived thru Vietnam war and I lived thru American Army soldier and now just waiting for something which will happen soon…God bless America. One thing to remember when you’re building your bug out bag is don’t do a very good job packing it. Leave plenty of room. It sounds stupid, but when you’re out there and it’s dark and raining and you have to move quick you won’t have time for jigsaw puzzles. It’s one thing to make it fit in your living room. It’s another to make it fit when time is of the essence. Also good to have space for any useful items you can scavenge en route. I have 4 bob which I could still use when I bug in. Being with arthritis I would plan to bug in n try keeping safe within the home. I live in San Francisco bay area, California. With all the recent fires I have re-imagined my reasons to bug out and what I might need. The people in Santa Rosa and Napa are still out of their homes and it’s been a year! I’m starting to think longer term bugging out due to fire, now. Any good suggestions for long term bugging out would be greatly appreciated!! Tragic scenes in California. For long term bugging out you are really looking at wilderness survival and self sufficiency which encompasses a lot.